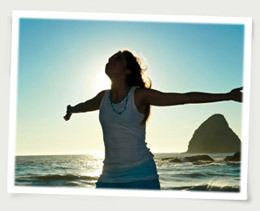 Did you know that "an attitude of gratitude" can affect our health? Posted in General Health & Wellness on March 14, 2011. Last modified on January 30, 2018. Read disclaimer. People who feel gratitude as part of their being rather than a temporary state of mind have an edge on the not-so-grateful when it comes to health, according to one noted researcher. "Grateful people take better care of themselves and engage in more protective health behaviors like regular exercise, a healthy diet and regular physical examinations," says Robert Emmons, a psychology professor at the University of California Davis. Further, gratitude is an ally in fighting stress, which is linked to a wide variety of both physical and emotional ailments. "Gratitude research is beginning to suggest that feelings of thankfulness have tremendous positive value in helping people cope with daily problems, especially stress," says Emmons. LouisvilleHealth.com is a participant in the Amazon Services LLC Associates Program, an affiliate advertising program designed to provide a means for sites to earn advertising fees by advertising and linking to amazon.com. Grateful people tend to be more optimistic, a characteristic that researchers say boosts the immune system. In one study, researchers comparing the immune systems of healthy, first-year law students under stress found that, by mid-term, students characterized as optimistic (based on survey responses) maintained higher numbers of blood cells that protect the immune system, compared with their more pessimistic classmates. One researcher who has studied life satisfaction of people from various cultures found two fascinating extremes. Among people in India living in poverty, not surprisingly he found low levels of life satisfaction. However, he found the same low satisfaction among people in affluent Japan, too, where materialism might be the cause. Who has a high level of life satisfaction? The middle class, especially those who have risen from poverty, according to Edward Diener, Ph.D., a psychology professor at the University of Illinois. Diener, who has studied life satisfaction among cultures around the globe, says that the people of Ireland, a country boasting a "count your blessings" culture, report high levels of life satisfaction. Keep a gratitude journal. Those who do this weekly tend to exercise more regularly, have fewer physical problems and feel better about life in general. Remember difficult times in your past. 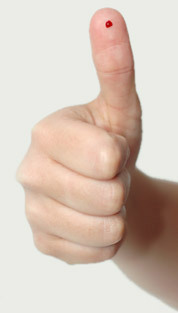 It is easier to be grateful if you can compare positive things in your life now to more difficult times in your past. Give frequent, daily prayers of thanks for all that is good in your life. And post notes around your home, in your car and at work to remind you. Make a list of all the positive things and people in your life. Then consider how much you take all these for granted. It can help to have concrete, visual reminders of all you have to be grateful for. Let your "self-talk" be optimistic and appreciative. This could be as simple as thinking about all your blessings. Or, if you're in a challenging situation, try to re-frame it from negative to positive. For example, if you're trying to cope with a troublesome co-worker or neighbor, instead of seeing that person as a thorn in your side, think of him or her as giving you a chance to improve your patience and understanding. Go through the motions of gratitude (smiling, thanking others, etc. ), even when you have a difficult time actually fealing it. Here's to your health, and promoting your own wellness with gratitude all year 'round. Several studies have confirmed that statin medications interfere with CoQ10 (Coenzyme Q10) production, causing blood levels of CoQ-10 to drop. So, if you're taking a statin for a heart condition, don't hesitate to discuss the benefits of CoQ-10 supplementation with your healthcare provider. These are impressive results for only 2 1/2 months of supplementation. 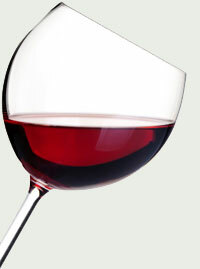 For some time, red wine in moderation has been regarded as heart healthy. That's because the antioxidant it contains called resveratrol seems to provide heart-healthy benefits. The alcohol and antioxidants (resveratrol and flavonoids) in red wine may help prevent heart disease by increasing levels of "good" cholesterol and protecting against artery damage. While the news may be encouraging if you occasionally enjoy a glass of red wine, doctors are quick to caution against starting to drink alcohol for this reason alone. Too much alcohol can have very harmful effects on health. How much red wine is healthy? 10 ounces a day for men and 5 ounces per day is the recommended limit. Men generally weigh more and are better able to metabolize alcohol. And certain groups should abstain from alcohol entirely -- such as those with a weakened heart muscle, people who take aspirin daily or women who are pregnant. Do any other foods contain resveratrol? Other than in red wine, uncooked red grapes, mulberries, cranberries and blueberries (especially the skins), cocoa powder (found as in dark chocolate and bakers chocolate) and peanuts (especially boiled) provide small amounts of resveratrol when consumed in the normal amounts. Because of the way it is processed, red wine has about twice the amount of resveratrol you'd get if consuming the same amount of red grape juice. New statistics from the Centers for Disease Control and Prevention (CDC) are startling: By 2050 the number of Americans with diabetes will range from 1 in 3 to 1 in 5. Currently, 1 in 10 U.S. adults has diabetes. But Americans aren't the only ones at risk; the International Diabetes Foundation predicts that as many as 438 million people worldwide will have diabetes by 2030. Diabetes can cause serious health complications including heart disease, stroke, blindness, kidney failure, nerve problems, gum infections and amputations. It is also the sixth leading cause of death in the United States. Use this checklist from the National Institute of Diabetes and Digestive and Kidney Diseases (NIDDK) to determine your risk factors. Check each item that applies to you; the more items you check, the higher your risk. Keep in mind that only a healthcare provider can make a diagnosis. I have a parent, brother or sister with diabetes. I am 45 or older. My family background is Alaska Native, American Indian, African-American, Hispanic/Latino, Asian-American or Pacific Islander. 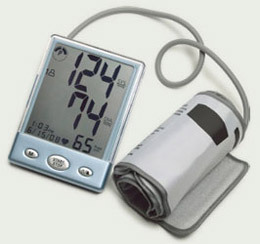 My blood pressure is 140/90 mm Hg or above, or I have been told that I have high blood pressure. My cholesterol levels are not normal. My HDL cholesterol - "good" cholesterol - is below 35 mg/dL, or my triglyceride level is above 250 mg/dL. I have polycystic ovary syndrome, also called PCOS (women only). On previous testing, I had impaired fasting glucose (IFG) or impaired glucose tolerance (IGT). The NIDDK recommends that anyone 45 or older consider getting tested for diabetes. If you are 45 or older and overweight, getting tested is strongly recommended. If you are younger than 45, overweight, and have one or more risk factors, you should also consider getting tested. Good news: there are ways to delay and even prevent diabetes. A federally funded study, the Diabetes Prevention Program, showed that weight loss through lifestyle changes - healthy eating and physical activity - can delay and prevent Type 2 diabetes. Study participants who changed their lifestyle reduced their risk of diabetes by 58%. These changes were even more effective in people over age 60: their risk was reduced by 71%! But there's even better news: With lifestyle changes, you can not only reduce your risk of diabetes, but you can also increase your overall health and well-being. It's a double win for your health! Get started today and help prove those dire predictions wrong.